I have something exciting for today's stash! 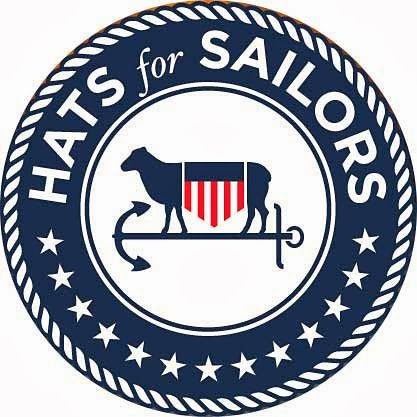 A former shipmate of My Little Sailor, Danielle is now stationed in Bahrain. She reports shopping in the local market is one of her favorite off-duty activities. And just look what she found! 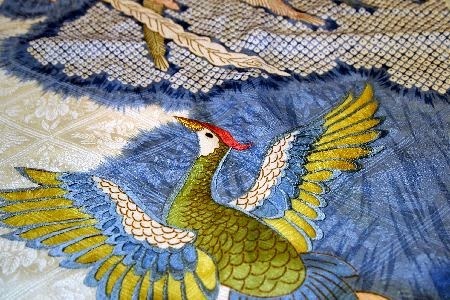 This is silk, embroidered with golden thread. The yardage is narrow, only about 20" wide. 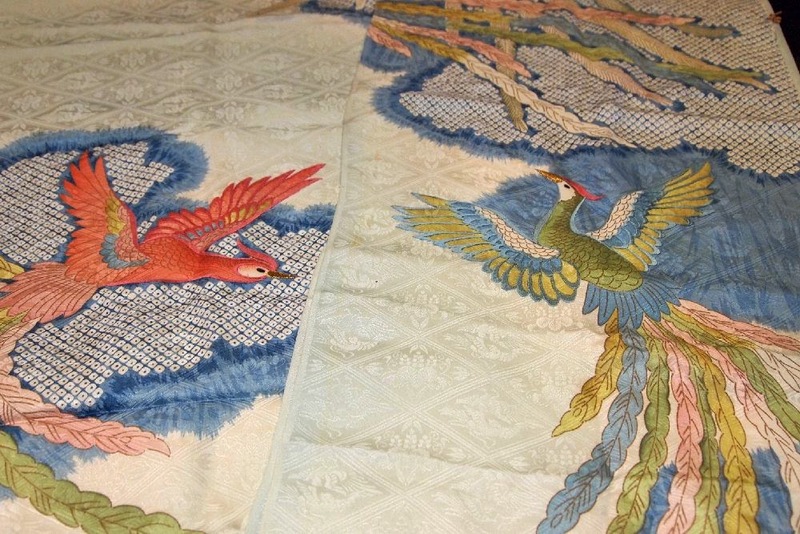 That dark blue on the right is really a lovely teal-blue colored jacquard. 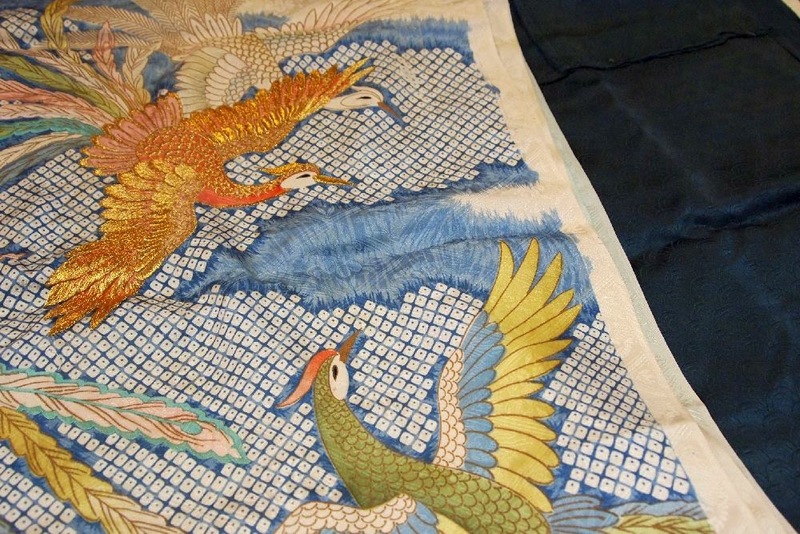 The width is perfect for dressy shawls, and each is two-three yards long. Aren't they incredible? I don't know what I'll do with them, but right now they are hanging above the design wall. Everytime I walk by them, I have to stop and admire the gorgeous colors. 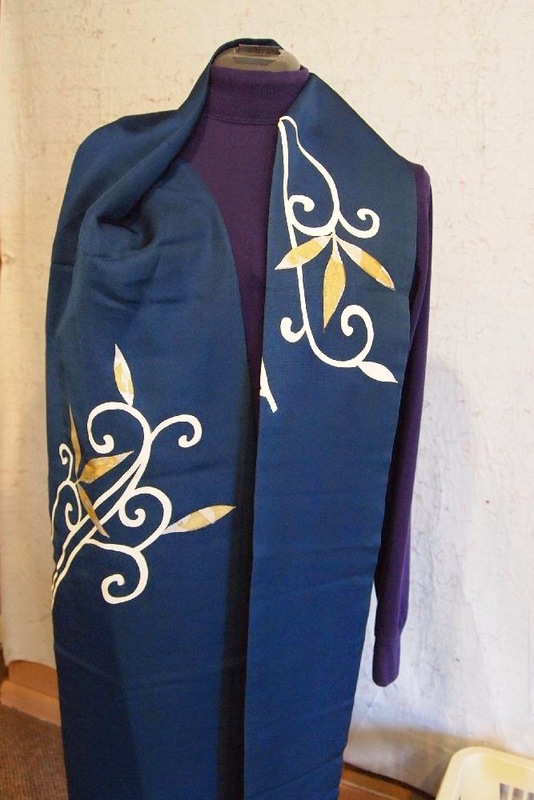 I can't decide what this piece is supposed to be -- I thought at first it was a "stole," such as that worn by ministers in some churches. But the minister would have to be 8 feet tall to wear this! Maybe Danielle will see my post and let me know what the seller told her it is for. Danielle, you're a sweetie to think of me! 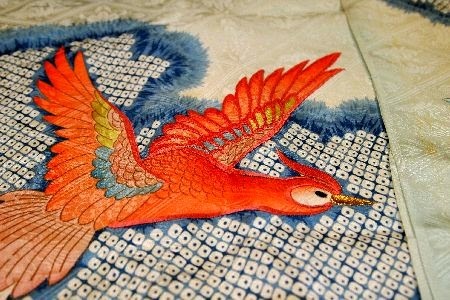 Maybe you've seen photos of the famous red-and-white quilt exhibit at the American Folk Art Museum back in 2011? Here's your chance to make your own, for just the price of postage! Both pieces are from Alex Anderson's "Romance" collection for P&B Textiles. There are 5.5 yards of the red-on-white and 2.25 yards of the white-on-red. 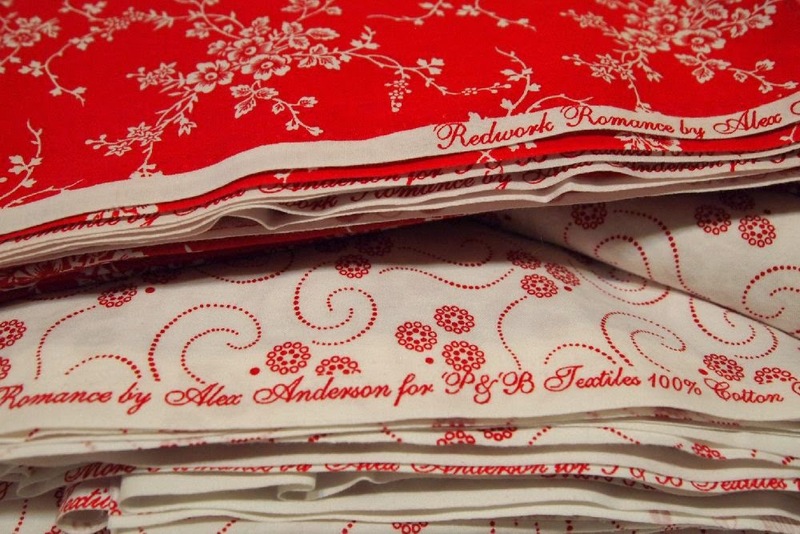 If you've always wanted to make a red and white quilt, comment on this post with your PayPal address and zip code. I'll calculate the postage and send you an invoice. It will fit in a medium flat-rate box, $12.35 US or $25 to Britain. I'm making more Shoo-Fly blocks today, come back tomorrow to see what's on the design wall! 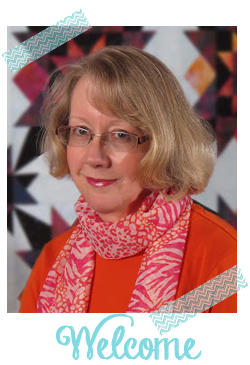 I saw that exhibit it was amazing and I can't stop making red and white quilts! That exhibition was wonderful = some of it (maybe all??) came to Australia - and even got to Brisbane..
Red? Did I see red? Love it! What interesting shopping she did...and sent to you! I have yet to make a red and white quilt. This could be my time! 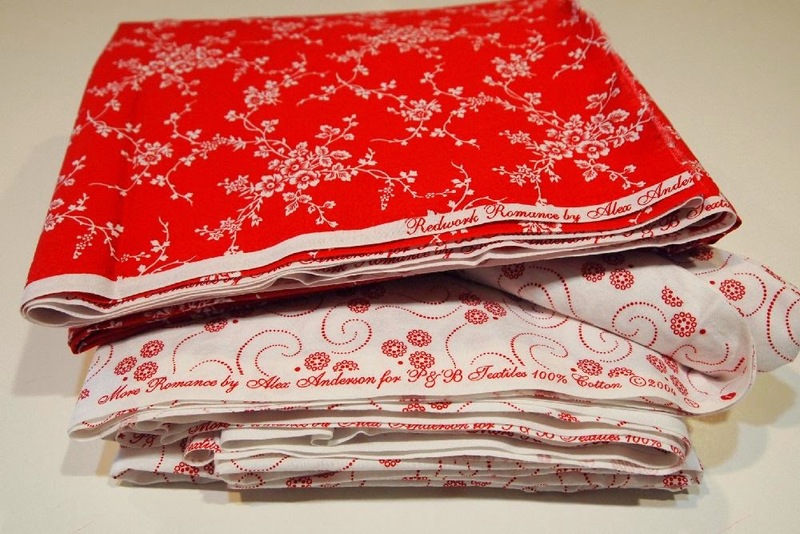 I am in the process of making two different red & white quilts: one with preprinted embroidered basket designs and another of mixed red florals/prints with white backgrounds. Both of these fabrics would work for my quilts. Paypal: lyeager3@hotmail.com & my zip is 23320. Can I get more details on how these de stashes work? Are you drawing a name randomly from people who are interested, or does the first person to comment 'win'?